Techstars is a global ecosystem that empowers entrepreneurs to bring new technologies to market wherever they choose to live. 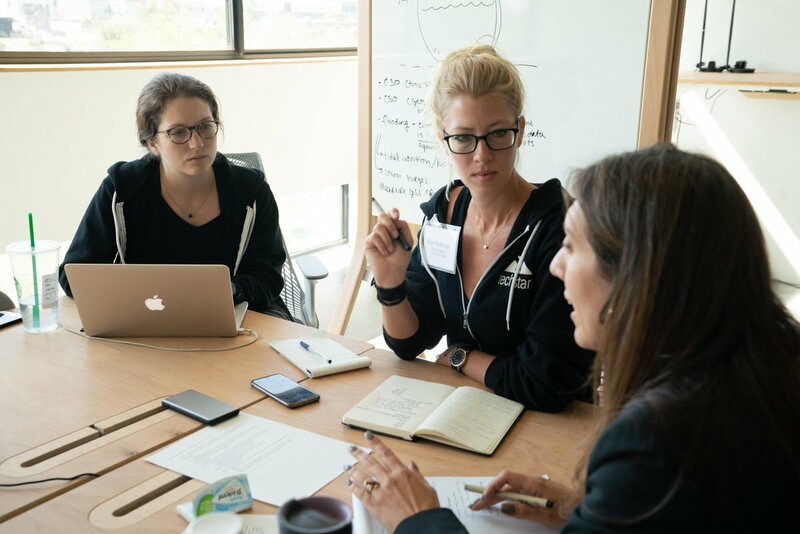 With dozens of mentorship-driven accelerator programs and thousands of startup programs worldwide, Techstars exists to support the world's most promising entrepreneurs throughout their lifelong journey, from inspiration to IPO. After raising a $725K seed funding round led by Alabama Futures Fund, Techstars Atlanta graduate startup Case Status will relocate to Birmingham. Bob Moczydlowsky has made a success of the Techstars Music accelerator, working with some of the most interesting music/tech startups to have emerged in the last three years. Now he’s been talking to analytics firm Soundcharts for the first in its new series of industry interviews, published to YouTube and its own blog. I am thrilled to present to the world the second class of Techstars Toronto Accelerator. This class builds upon the success of our inaugural class in 2018 from which 10 fast-growing technology companies were launched across several verticals including AI, food technology, virtual reality, financial services, construction tech, enterprise SaaS, and more. These … Continue reading "Welcome 2019 Class of Techstars Toronto Accelerator"
The Fourth Barclays Accelerator, Powered By Techstars In Starting In Tel Aviv! Why Nudge.ai? Reach out to the decision makers at Techstars with a personalized email - let them know that you found their recent news mention interesting. Nudge.ai’s relationship intelligence platform can help you find the right executive to reach out to at Techstars, such as Sunil Sharma, Managing Director, Techstars Toronto, or Ray Newal, Managing Director, India. Then get in touch and start a conversation. Executives can be difficult to reach, but every company has connectors who bring together people and ideas. At Techstars, people like Sunil Sharma, and Tariq Haddadin are likely connectors. When Techstars is mentioned in the news, Nudge.ai often sees topics like Healthcare, and Food. If your conversation focuses on these topics, you’ll probably get Techstars’s attention. When Techstars is mentioned in the news, companies such as Barclays Capital, Spotify, and Western Union are often also mentioned. These companies can serve as customer examples. Employees who are often in the news are usually open to starting conversations or exploring ideas. Nudge.ai's sales AI saw Sunil Sharma, Tariq Haddadin, and Ray Newal from Techstars recently mentioned in the news. Techstars Toronto's second cohort features startups from around Canada and around the world. Techstars Atlanta has seen its first graduate successfully exit. SAWA, a graphic design startup, has been acquired by email marketing platform Mailchimp. PHILADELPHIA--(BUSINESS WIRE)--Jan 7, 2019--Comcast NBCUniversal LIFT Labs Accelerator, powered by Techstars, is now accepting applications for its second class. Founders from around the world developing the next generation of connectivity, media, and entertainment companies are encouraged to apply now through April 7 for this year’s program. The class will begin on July 15, 2019.
Who in your network can introduce you to Techstars? Nudge.ai finds the best pathway to reach contacts at this company.